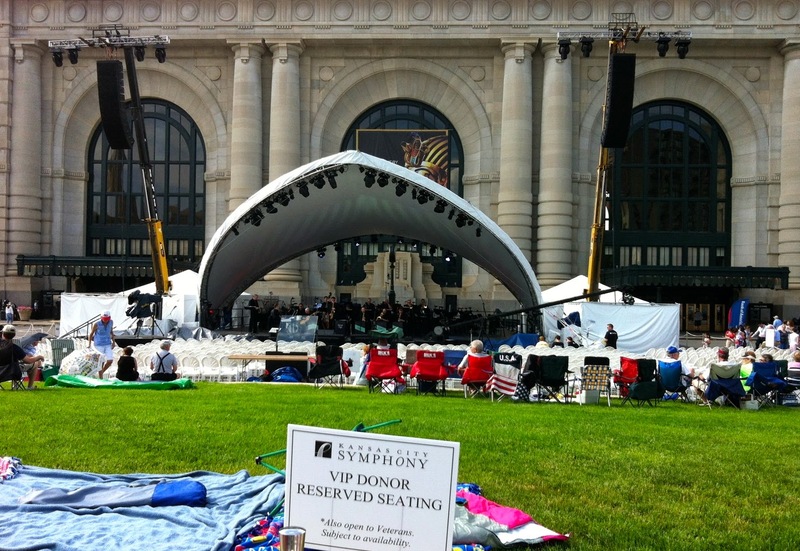 Several thousand early birds at Sunday's Celebration at the Station heard vintage Kansas City jazz performed in a setting that would have been familiar to a young Charlie Parker. Vine Street Rumble Jazz Orchestra's delightful "pre-show" performance in front of Union Station resurrected 80-year-old ghosts that were visible to at least two patrons. As saxophonist Brett Jackson soloed on Count Basie's "Blue and Sentimental," a seemingly unstable vagrant seated next to me shouted "this is the sound!" I shared his phantasmal enthusiasm for the band's stated mission of "celebrating the legacy of Kansas City jazz in the 30's and 40's." The set began with a couple of Jay McShann numbers and included at least one Bennie Moten composition. The ensemble features notable players such as saxophonist Steve Lambert, trumpeters Al Pearson and Jay Sollenberger, trombonist Jason Goudeau, guitarist Rod Fleeman and pianist Joe Cartwright. Vine Street Rumble's 45-minute excursion seemed far too short. Organizers would be foolhardy not to make the ensemble a permanent attraction at the large-scale annual event.